The agriculture of today needs to feed a growing world at a time when there are fewer people on farms, and still fewer acres in production each year. The only way to meet the challenge is to produce more with less. The two important components in doing this are technology and management: thus farms, big or small, can greatly benefit from the use of farmer management software. Changes in technology and management have brought about far-reaching changes in agriculture; and today, farm management software is available specifically for technology-oriented farming operations, which can help producers to better achieve their goals. 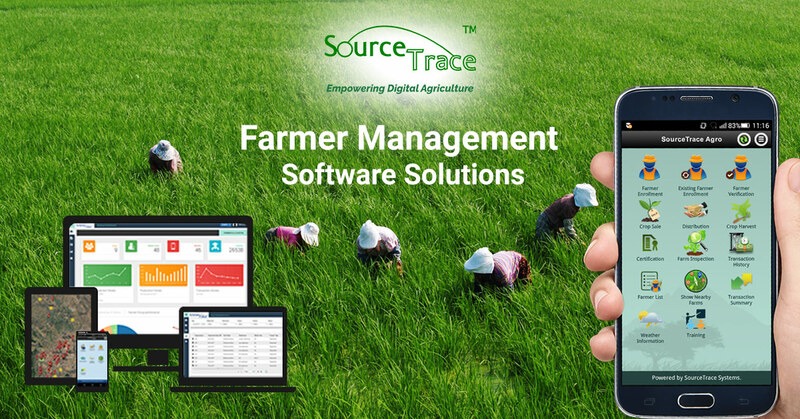 Such software is primarily used by farmers or farm business owners who need an all-in-one app or technology for their farm records, tractor management, crop management, animal database, animal treatment, etc. Farm management software, by its very design, can be operated by multiple users, can monitor multiple crops and that can keep complete control over the single digital platform for entire process management. Moreover, it can keep track of farmers’ unique ids and details, and also ‘table control’ farms located at remote locations. Such software also increases operational efficiency, generates MIS reports, and is useful for macro-level crop planning, scheduling, procurement, and supply. Further, it helps with inventory tracking and analysis, and overall, optimizes the cost of production for increased profitability. In reality, farmers invariably fall into two categories – some are decentralized and some are top-down. Farmer management software supports both management styles, and everything in between. In any case, because it provides constant status and location of the team, and shows progress against work that needs to be done, it becomes easy to assess what has been done on a particular day and what needs to be done the next day. Farm management software comes with an important feature of maintaining a history of practices adopted and daily operations. It also comes with the capabilities of integration with smart hardware devices. Through its intelligent data analytics, it enables faster decision making. Farmers who have used this software also report to achieving water conservation. For example, take the case study of how farmer management software has enabled a certain mango plantation to run efficiently. The orchards, in this case, are spread across multiple locations, with the number of trees totaling to tens of thousands. The plantation company is engaged in both exporting and retailing mango. For a company like this, the major challenge would be to maintain the quality of fresh fruits. Activities, like bagging fruit and harvesting them after a specific period, requires a higher number of man days. Physical inspection of each fruit would be a tedious task, and adding to this was the issue of multiple locations. Estimation of the yield is also difficult under the circumstances. Keeping records and observations on a tree-to-tree basis and recording for harvest is also difficult at a physical level. To top it all, managing the employee payroll functions are time-consuming too. In the case of the retail outlets working on offline software, the fruit inventory reconciliation is difficult to have. Everything changes when farmer management software begins to be used. Once the software is applied, it geo-tags all trees, across all locations. Inventory management for inputs and finished goods is also made easy, as the records get updated in real time. With available data, it became possible to allocate manpower and machinery in advance. Account keeping and profit and loss statements could be generated. The firm was able to run its entire business operations of production, post-production, purchase, inventory, accounts, and point of sales over a single digital platform. This enables the company to focus on maintaining the quality of fruits and customer satisfaction. What are the parameters to look out for? Weather estimation of individual fields. One can also customize the software according to the requirements of an individual farm. The final goal of farmer management software is to help farmers determine the unit economics of their business: such as – how profitable their field is, how profitable one crop is against the other, how profitable a particular crop rotation is, etc, along with an idea of external conditions: weather and markets, for example. All of this helps them make more intelligent decisions, and with confidence.